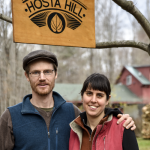 Hosta Hill, owned and operated by Abe Hunrichs and Maddie Elling, is a Berkshire-based business that is committed to producing local, sustainable, and delicious fermented foods like kimchi, krauts, and kraut juices. These “field-to-ferment” experts take pride in sourcing source organic vegetables from passionate farmers between the Hudson and Pioneer Valley, helping to build community and resilient food systems. Hosta Hill won two consecutive Good Food Awards, in 2015 and 2016, and has been recognized as one of “the most conscientious and talented craft food producers in the United States.” Their probiotic-rich foods are available on the menus at over 100 cafés, restaurants, and farmer’s markets in Massachusetts, Vermont, and New York. The Berkshire Food Co-op, located in Great Barrington, was founded in 1981 by local families. It offers the community a place to shop, gather, eat, and learn by providing healthy food and environmentally-friendly products at reasonable prices. The co-op is a model of a sustainable business alternative and aims to be a transformative force in the community. In addition to PVGIF participating in a loan with the Cooperative Fund of New England, the Berkshire Food Co-op raised an impressive $1.4 million in owner loans to secure a larger space, serve more members of the community, and support their continued success. Dave and Linda Chamutka have run Chamutka Farm, a 50-acre certified organic vegetable farm in Whately. Farming since 1982, their major crops include cucumbers, cabbage, squash, tomatoes, and strawberries. They sell high quality vegetables at local grocery stores, such as Big Y, and through a local farmer cooperative, the Pioneer Valley Growers Association. Chamutka Farm was the very first supplier to Real Pickles (also a PVGIF borrower), growing the 1,000 pounds of pickling cucumbers in 2001 to make one of the first batches of Organic Dill Pickles! Owners Dana St. Pierre and Amy Huebner have expanded their production of Fire Cider, an herbal tonic, into a new facility located in Pittsfield. They have also extended facility and equipment use to Marty’s Local and Hosta Hill, two local food businesses, with the hope that they will all grow together. Shire City Herbals benefited early on from their relationship with the FCCDC. The business was incubated in the FCCDC’s Western MA Food Processing Center where they received business assistance as well. Once Shire City outgrew the Food Processing Center, they bought and renovated their new Pittsfield facility. What Cheer Fruit + Produce sources from farms that focus on quality and diversity and is committed to supporting its farmers and buyers throughout the supply chain. Owned by Andrew Lacasse, his focus is delivering to restaurants and small grocery stores/co-ops, but we also work with farmers to truck produce to their customers in Boston, Providence, Hartford, and other points along their route. 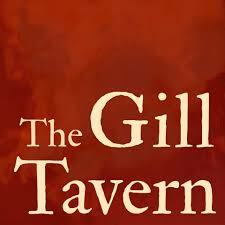 Walker Widner is the proud new owner of The Gill Tavern. He has spent the past few years as head chef at the Tavern, and assumed the mantle of owner this summer, in part thanks to financing from the PVGrows Investment Fund. The Gill Tavern is located in the heart of farm country, and as such, Walker sources from many local farms in the area throughout the year. 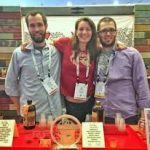 Mundo Artisan Foods is a small-scale distributor located in Easthampton. Owner Sherryla Diola is working to fill a gap in the distribution system by moving local produce and locally processed foods into stores, restaurants, and other local retail outlets from small-scale farm and food businesses. Daily Operation is a new restaurant sourcing locally in Easthampton. Daily Operation is the brainchild of Dave Schrier, Jessica Pollard, and David Clegg, formerly of The Alvah Stone in Montague. The backbone of the restaurant is local agriculture, and the trio work closel y with local farms to best utilize seasonal products and keep as much of their money within the community as possible. Hager’s Farm Market, located in Shelburne, has grown steadily over the years first as a seasonal farm stand and now as a year-round operation. The farm stand sells products from Hager Brothers Farm including meat, maple syrup, tree fruits and vegetables as well as products from thirty other farms. This is an important outlet for local food in this rural area. The Market will use this PVGIF financing to expand the kitchen and restaurant seating to meet the increasing customer demand they have been experiencing. Hillside Organic Catering represents an important continuation of the beloved local business, Hillside Organic Pizza. After ten of years in the catering business, Bob Lindner and Craig White have sold the catering part of their business to long-time employees, Patrick and Cynthia O’Hearn. This relationship represents a strategic partnership between the two companies. They will share assets and maximize ordering efficiencies from their Bernardston location where they will continue to be co-located. Craig and Bob have been mentoring the O’Hearns in order to ensure a seamless transition. Ciesluk’s Market is a new market located in the center of South Deerfield. Ciesluk’s features a local produce, fresh baked items, dairy, and local fresh and frozen meats, which are available year round for folks living in and around the area. Owner Nikki Ciesluk opened her doors in June, and has been busy serving customers. Ciesluk’s features the bounty of produce grown in and around the Pioneer Valley and is a welcome addition to South Deerfield’s town center. Ostara Luna Farm is a new 4-acre family farm located in Ashfield producing fruits & berries, dried medicinal and culinary herbs, using permaculture practices, as well as duck eggs. Financing from PVGIF will allow owner Grover Wehman-Brown to invest in her farm with purchases such as a yard tractor to prep more beds for herbs, tree and shrub starts, wash stations in production areas, and materials needed to expand the drying room and duck shed. Artisan Beverage Cooperative got their start brewing at the Western MA Food Processing Center. Since then, they have expanded and moved down the hall to the FCCDC Venture Center. Their current space includes a beautiful tasting room. Artisan Beverage Cooperative uses locally and regionally grown ingredients in their kombucha, mead and cyzers whenever possible including honey, cranberries, grapes, blueberries and even spruce tips. 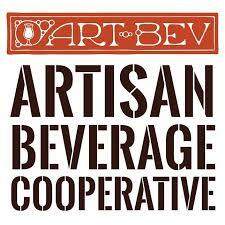 Artisan Beverage Cooperative’s mission is to produce the highest quality beverages possible taking into account the social and economic impacts of all decisions of the cooperative, and to demonstrate, through their success, the viability of worker cooperatives and fairly traded goods. This loan supports Real Pickles’ original 2009 purchase and upgrade of a century-old industrial building in Greenfield for use as an organic food production facility. Real Pickles has made extensive energy efficiency improvements, installed a 17 kW photovoltaic system, and more recently added a second floor to allow for expanded fermentation capacity and increased vegetable purchases from local farms. Six River Farm is an organic vegetable farm located in Bowdoinham, Maine. The financing they received from PVGIF is part of our commitment to not only the local food system, but the regional food system as well. We are supporting our partners, Coastal Enterprises Inc., in this deal. 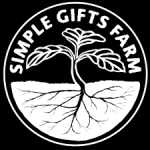 Owners Nate Drummond and Gabrielle Gosselin are leaders in the small, organic farm movement. This financing will be used to install a PV solar array on their farm thereby helping them to become more sustainable through lower energy costs. 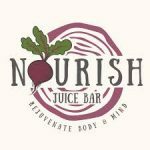 Nourish Wellness Cafe, located in Northampton, approached the PVGrows Investment Fund for financing to expand their offerings at the cafe, building on the successful launch of the business. Owners Ashley and Ethan Niles are dedicated to serving “nutrient dense vegetarian food that is organically grown, locally sourced whenever possible, and nourishing for you body and mind.” Their approach supports the local food system and takes advantage of the bounty grown here in the Pioneer Valley by buying from our local farmers and local value-add producers. Pioneer Valley. Susan and Terry Ragasa opened the doors to their old-fashioned butchery located in Northampton in 2014. 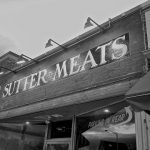 Sutter Meats is dedicated both to preserving the craft of traditional butchery and to narrowing the gap between the eater and their food source. 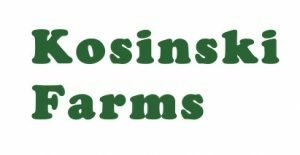 Chris’ Farm Stand is a family-owned and operated vegetable grower and retailer located in eastern Massachusetts. Chris Stasinos is a third generation farmer. The farm wholesales and retails a large diversified selection of its own vegetables, fruit, honey, poultry, turkey, and eggs. The farm stand plans on restoring its peach and apple orchard as well as barn restoration. This financing was provided through our ongoing partnership with The Carrot Project. Wellspring Harvest is creating a 12,600 square foot hydroponic greenhouse in the City of Springfield. The greenhouse will grow greens and herbs for area institutions, colleges and retail outlets. Wellspring recently purchased the 1.75-acre site in the Indian Orchard neighborhood from the Springfield Redevelopment Authority. Site work has begun and the site has been cleared, with erosion control and stonework now in place to stabilize the ground. The Wellspring Cooperative Corporation was established to create a network of worker-owned companies in Springfield to provide jobs, on-the-job training and wealth creation opportunities for low-income residents. Wellspring Harvest is their third business to be launched and their first in the farm and food sector. Heart Beets Farm is an organic vegetable farm located in the eastern part of Massachusetts in Berkley. This is PVGIF’s first borrower outside of the Pioneer Valley thanks to our newly expanded partnership with The Carrot Project. The farm sells primarily through a 3-season CSA and on-site farm stand. Heart Beets is one of the few organic farms located in their county. Heart Beets Farm is an early stage farm and was started in 2014 by Stephen and Sarah Murray. The Murray’s farming philosophy focuses on increasing soil fertility to produce healthy, nutrient-dense crops. Mycoterra Farm grows gourmet and medicinal specialty mushrooms. Mycoterra began as Julia Coffey’s backyard business at her home in Westhampton and has grown into a diversified mushroom farm enterprise. Recently, Mycoterra has begun converting an old horse stable in South Deerfield into a new and larger facility in order to meet growing market demand. You can find Mycoterra’s mushrooms in many retail locations including River Valley Coop and local farmers markets. Real Pickles is a small, worker-owned cooperative in Greenfield that produces naturally fermented p ickle products. Financing from PVGIF and the Cooperative Fund of New England will allow Real Pickles to increase its fermentation capacity by one-third and install a high-efficiency heating system. Real Pickles began in the Western Mass Food Processing Center. In 2010, they moved across the street to their own building where they have continued to purchase more local vegetables, hire more local workers, and increase sales. Real Pickles is committed to purchasing vegetables from organic farms in the Northeast. In practice, nearly all of their vegetables come from within the Connecticut River Valley. In 2014, for example, the 285,000 pounds of vegetables they purchased came from an average distance of 17 miles away from their Greenfield facility. Appalachian Naturals produces dressings and sauces using locally grown ingredients. Appalachian Naturals has been in business since 2005 and distributes throughout the Northeast and Mid-Atlantic regions. Since 2006, Appalachian Naturals has purchased annually from 6,000 to 30,000 pounds of tomatoes, over 2,000 pounds of onions and 900 pounds of cilantro from Pioneer Valley farms. They began at the Western Mass Food Processing Center and after several years of growth, they expanded on their property in Goshen. In 2008, they renovated a barn into a storage facility and in 2012, they added a processing facility. Their motto, “local agriculture is everyone’s business,” is best evidenced by their quality products. Hillside Organic Pizza began in 2001 with a commitment to the local community, making pizzas at the Western MA Food Processing Center for sale as fundraisers for schools and community groups. In 2006, they opened a restaurant in South Deerfield, followed by two more locations in Hadley and Bernardston. Hillside was the second business incubated at the Western Mass Food Processing Center. Hillside Pizza strives to operate using sustainable business practices that benefit the local community. They are committed to using organic and local ingredients whenever possible, and provide training and job opportunities for adults with developmental disabilities. Hillside crafts all of their products in small batches and composts and recycles their waste. Hillside believes that thriving communities are, in part, built on access to quality foods and a healthy environment. This loan will allow them to expand and renovate their processing and catering kitchen. What do portable sinks and toilets have to do with the local food system? Recently, the Commonwealth of Massachusetts updated the Good Agricultural Practices (MA GAP) requirements for worker hygiene. 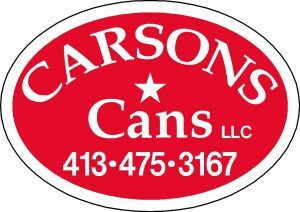 Carsons Cans, located in Greenfield, has developed a solid reputation for providing well-maintained portable sink and toilet units to area farms in need of compliance. Farms can reap significant savings not having to plumb their barns with toilets. Carsons Cans serviced 24 local farms during the 2015 growing season, with more being added this year. This business is meeting an essential infrastructure need in the local food system. Kosinski Farms is a third-generation fruit farm in Westfield. In recent decades, the farm has expanded its acreage and added a farm store and bakery. PVGIF is proud to be part of the Kosinski’s next phase of growth, Raven Hollow Winery. This value-added operation utilizes the farm’s fruit seconds by transforming them into juice, wine and cider. Endeavour Transportation is a regional distributor of produce headquartered in South Deerfield. PVGIF financing will help Endeavour Transportation expand its distribution of locally grown produce to regional markets. A new delivery truck will allow the company, which has a long-term relationship with the Pioneer Valley Growers Association, to increase sales by expanding its geographic reach. Local distributors such as Endeavour Transportation are essential to a sustainable regional food system.